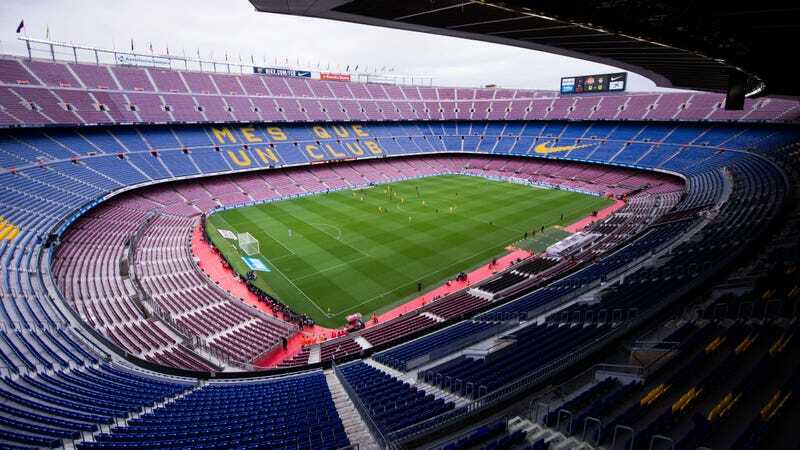 On the day of a controversial referendum on Catalonian independence, which led to the Spanish police shutting down polling stations and firing rubber bullets at a crowd of voters, Barcelona’s game against Las Palmas was closed to the public and played in an empty Camp Nou due to security concerns. “FC Barcelona condemns the events which have taken place in many parts of Catalonia today in order to prevent its citizens exercising their democratic right to free expression,” the statement read. Barcelona Vice President Carles Vilarrubí also resigned today following the decision to go ahead with the game. Barcelona soccer has long been a symbol of independence for Catalonia, and their rivalry with Real Madrid symbolizes the divide between northeast Spain and the crown in the capital. The Spanish courts have ruled the independence referendum unconstitutional, and in the lead-up to the vote, police have clashed with protesters, seized ballot boxes, and arrested local government officials. The Barcelona team wore shirts based on the Catalan flag before the game began today.